Our guide to Nashville will help you find the best budget hotels in Nashville Tennessee. Heralded as Music City, U.S.A., and the country-music capital of the world, Tennessee's fast-growing capital city also shines as a leading center of higher education, appropriately known as the Athens of the South. Nashville has prospered from both labels, emerging as one of the South's most vibrant cities in the process. The Gaylord Entertainment Center (formerly Nashville Arena), a 20,000-seat facility spanning three blocks at 5th and Broadway, opened in 1996. Connected to the city's convention center by a tunnel, the Arena hosted the U.S. Figure Skating Championship in 1997. A successful drive to land both a National Football League and a National Hockey League franchise, coupled with a population gain that has pushed Nashville ahead of Memphis, has put Nashville into the major leagues of American cities. Bolstering Nashville's reputation as a music town are dozens of clubs, performance stages (including the revitalized Ryman), and television tapings open to the public, as well as memorials to many country-music stars. The District, the downtown area along 2nd Avenue and historic Broadway, has emerged as a destination for tourists and locals alike, with restaurants, specialty shopping, and entertainment options. And, of course, legendary Music Row continues to beckon aspiring singers, musicians, and songwriters with stars in their eyes and lyrics tucked in their back pockets. There are tons of great budget hotels in the city of Nashville, our city guide will help you find the best budget hotels. You may have a hard time deciding what to do in Nashville, but we make your decision easy. 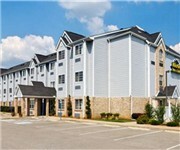 100 Coley Davis Ct, (615) 662-0004 - Microtel Inn is a budget hotel / motel / resort located in Nashville TN. 1100 Airport Ctr Dr, (615) 884-6111 - SpringHill Suites Nashville Airport is a budget hotel / motel / resort located in Nashville TN. 1407 Division St, (615) 242-1631 - Best Western Music Row is a budget hotel / motel / resort located in Nashville TN. 1501 Demonbreun St, (615) 226-3300 - Comfort Inn Nashville is a budget hotel / motel / resort located in Nashville TN. 1719 W End Ave, (615) 329-4200 - Hotel Indigo is a budget hotel / motel / resort located in Nashville TN. 201 Ellington Pl, (615) 731-2361 - Holiday Inn is a budget hotel / motel / resort located in Nashville TN. 201 Music City Cir, (615) 902-9950 - Best Western Stes Nr Opryland is a budget hotel / motel / resort located in Nashville TN. 211 Music City Cir, (615) 872-8939 - Fairfield Inn Nashville at Opryland is a budget hotel / motel / resort located in Nashville TN. 211 N 1st St, (615) 254-1551 - Days Inn at the Stadium is a budget hotel / motel / resort located in Nashville TN. 2300 Elm Hill Pike, (615) 889-8600 - Residence Inn Nashville Airport is a budget hotel / motel / resort located in Nashville TN. 250 Athens Way, (615) 244-5474 - SpringHill Suites Nashville MetroCenter is a budget hotel / motel / resort located in Nashville TN. There are plenty more budget hotels in Nashville. See all budget hotels in Nashville Tennessee.